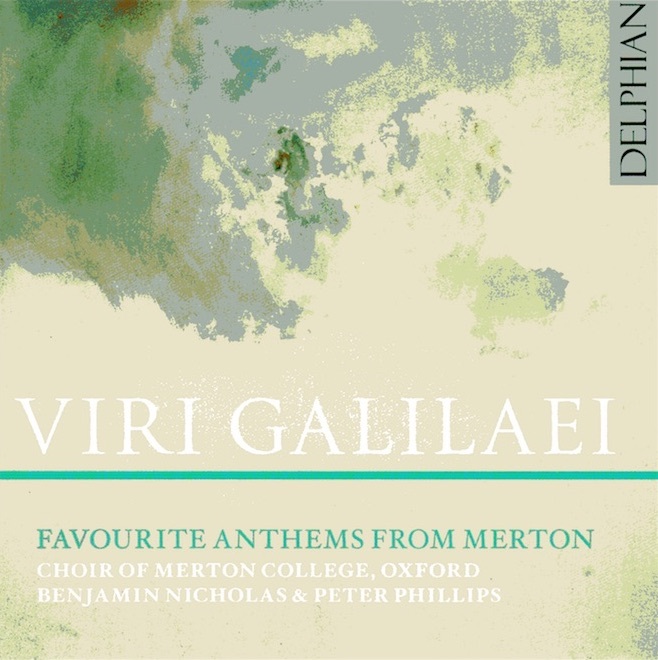 Although the sub-title, ‘Favourite anthems from Merton’, might not be quite accurate for every potential listener, this collection of anthems certainly represents a fascinating insight into Oxbridge choral tradition and its music. It opens with the premiere recording of Jonathan Dove’s Te Deum, a paean of praise with an exciting accompaniment that shows off their new organ. In a very mixed programme, we then have Tallis’s exquisite little If ye love me, before Elgar arrives with Give unto the Lord before giving way to Thomas Morley, a rather dramatic switch of musical styles. And so it continues, with Rutter, Parry, Quilter, Finzi, Harris and Patrick Gowers interweaved between Byrd and more Tallis. It should be stressed that this is a mixed voice student choir, not the boys and mens choir found in some Oxbridge foundations and most English cathedral choirs. That said, students start around 18 years old, and are unlikely to be any older than around 25 before departing the student choir tradition. So these are still young singers, gaining a marvellous experience in music making whilst studying a disparate range of subjects. Ditto with the two featured organ scholars, who would typically be aged between around 18 and 21. The two major works featured are Parry’s Blest pair of sirens and Gerald Finzi’s monumental 1946 Eucharist meditation Lo, the full final sacrifice, the latter with some impressive playing of the notoriously tricky organ score by Charles Warren. Lasting more than 15 minutes, this was one of the more unusual commissions from Walter Hussey and St Matthew’s Northampton, its length alone makes it a difficult work to add to the liturgy. The concluding piece gives the CD its title, Patrick Gower’s evocative Viri Galilaaei, its arch-like construction building to a powerful central climax before relaxing back into the opening mood, with its distant bell-like twitched from the organ. Track 5 exposes my only real criticism of the sound of the young choir, the exposed soprano line revealing a degree of vibrato that interferes as much with the music of present day composers as it does with the earlier repertoire. This is not the only example: even Parry sounds, to me, rather too wobbly on top. Although it is slightly less noticeable on the early tracks, it is still present. It is particularly unfortunate that these young singers have been allowed to develop this so early in their singing careers (and probably before going up to Merton) – it can take years of experience to learn how to control it. Merton College has the rather curious situation of having two ‘Directors of Music’, one (Benjamin Nicholas) with the additional preceding title of Organist and the rider ‘full-time’. The other (Peter Phillips), a more recent appointment, is listed as ‘a’ Director of Music. Oxbridge institutions move in mysterious ways. The former directs the large scale more recent works, the latter, the earlier pieces. The acoustic of Merton College Chapel is generous. Although in the photographs, the choir is shown enrobed and in their usual choir stalls, I wonder if they recorded this from closer to the new organ, which is beyond the large choir screen on the rear (western) wall of the anti-chapel – which, architecturally, is the equivalent of the crossing of a large medieval church and was intended to lead into an unbuilt nave. There is no hint of time delay or acoustic oddities audible in the recording from the separate of choir and organ so, whatever they chose, worked.